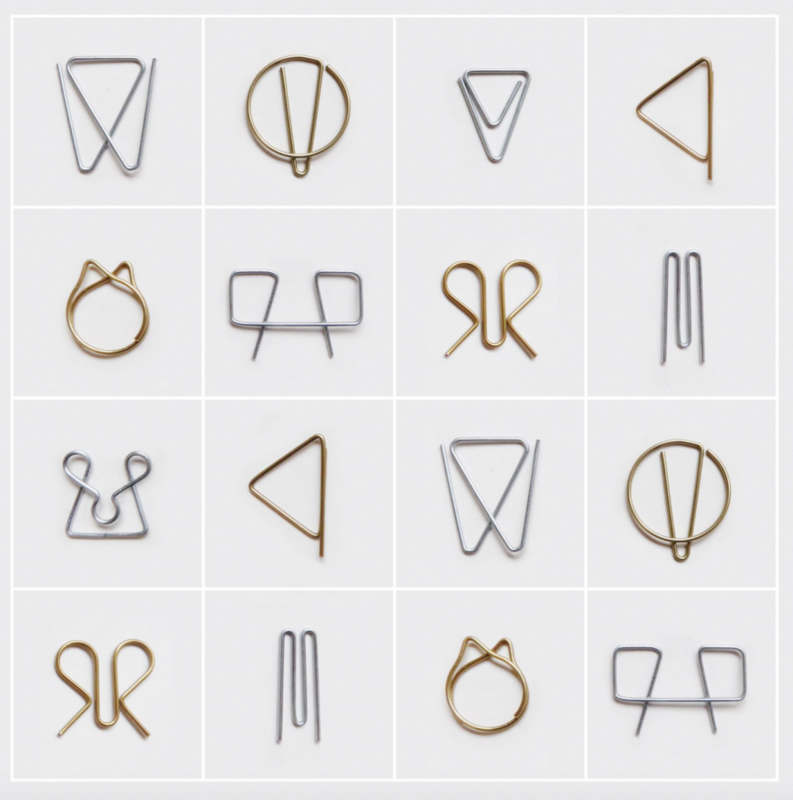 20 historical paperclips, in brass & silver. 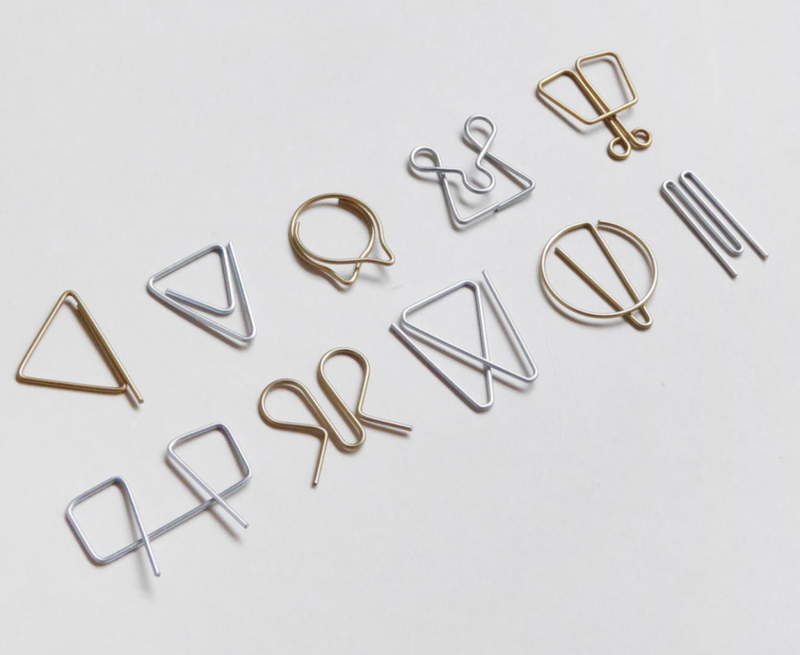 A smart take on the novelty paperclip trend, Clip Art features ten paperclip designs, drawn from historical patent records. The elegant, thick grey envelope holds a glassine bag filled with silver and brass paperclips (ten different designs, two of each). The package features both gold and silver stamping; each design is shown on the cover and annotated with year of design along with some interesting background information inside. The clips are around 1" in length. 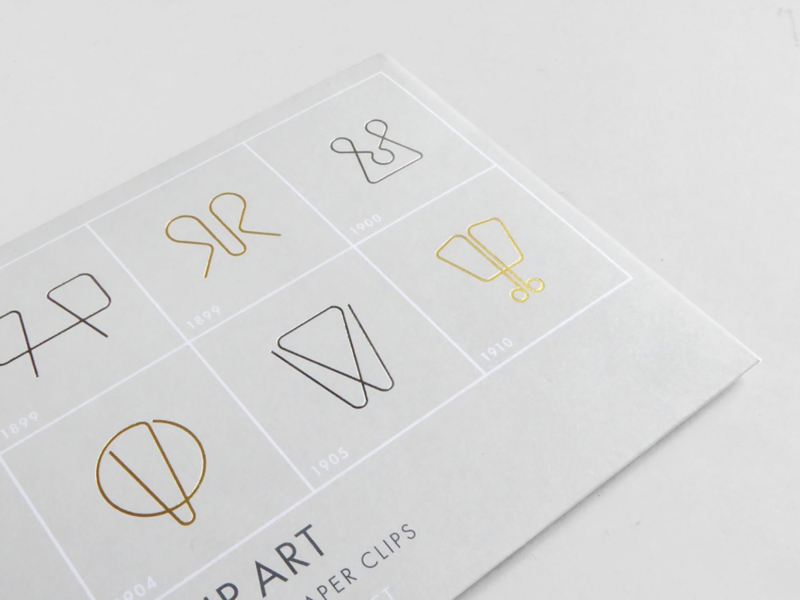 Clip Art is sure to appeal to designers, vintage-lovers, stationery obsessives and anyone looking for a sophisticated gift.